At Broadford, we are proud of the way that we promote cycling and road safety awareness to our children. 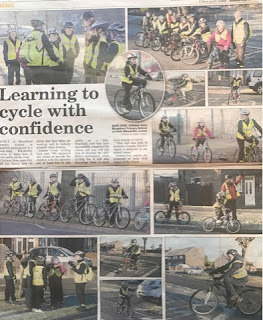 For the past five years, as a school we have organised Bikeability workshops for our year 5 and 6 children. Before Christmas, we had a very successful Bike and Scooter day for our Yr 1 and 2 children. NOW…. our Year 3 and 4 children, who already own bikes, will be given the opportunity to take part in a ‘Learn to Ride’ programme. This will be the ideal time to ditch those stabilisers! If your child lacks a bit of confidence or is a bit wobbly going around corners – this workshop would benefit them immensely. With 150 children in Yr 3 and 4, we suspect this workshop will be oversubscribed, so the places will go on a first come first serve basis. However, if your child is unsuccessful the first time, we will be running another workshop in the Summer term. 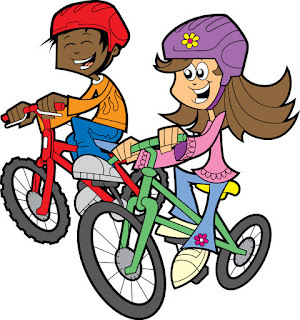 Please remember in order to give your child the best chance to learn ride, you will need to make sure that their bikes are in good condition and tyres are pumped up. Remember No Stabilisers and safety helmets are essential. 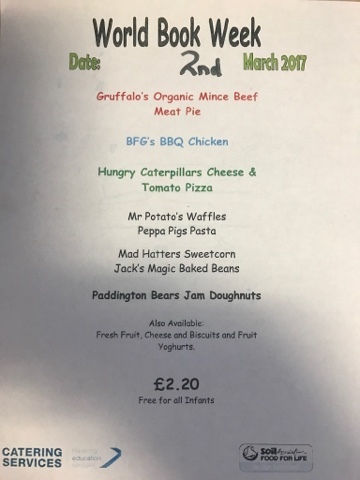 Our first workshop will take place on Tuesday 21st March 2017, if you would like your child to take part in this valuable learning activity, please complete the slip the children have received today and return to Miss Cook by Friday 3rd March. 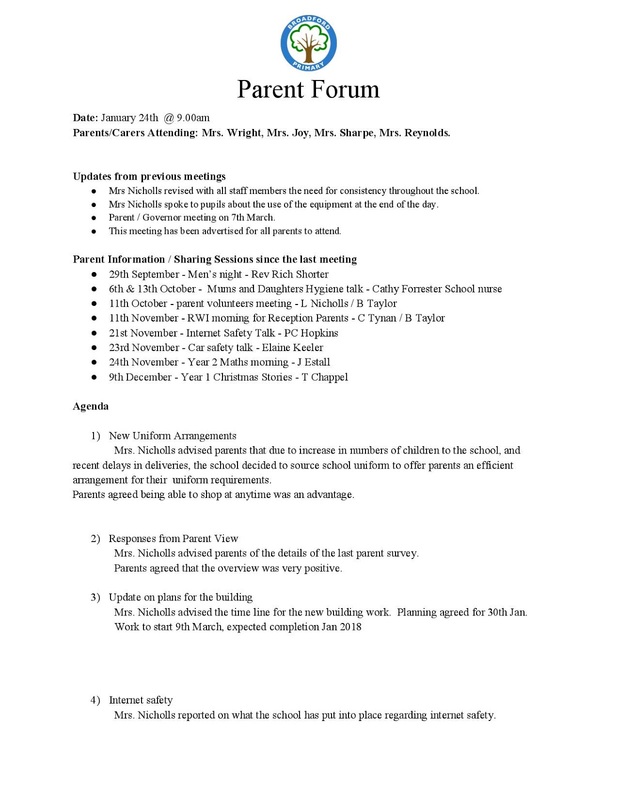 Thank you to everyone who was able to attend the most recent Parent Forum meeting back in January. It was a great opportunity to update you on how we have been progressing as well as hear your thoughts and ideas. Please take the time to read the minutes below. The next meeting is set for the Tuesday 2nd May @ 9.00 am and all parents are welcome. 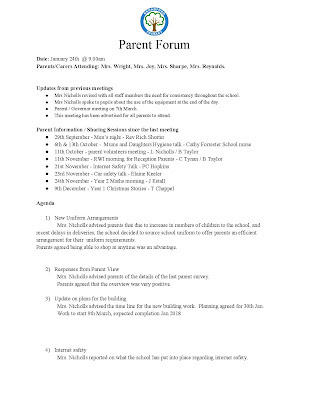 At the end of the term we will be holding parent consultations when you are invited to come and meet your child’s class teacher to find out how they are progressing this year. 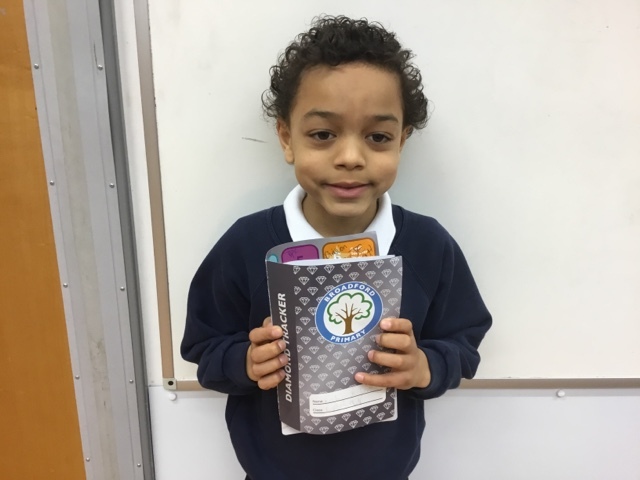 There will be a chance for you to look at your child’s work and complete a parental survey to let us know how else we can provide you with information and support. These events will be held on Tuesday 28th and Wednesday 29th March. This will be an opportunity for Governors to give you an update on plans for the rest of the year and look ahead to 2017-18. At both Broadford and Mead there is a very positive period of expansion, investment and change coming and we would like all parents to be both informed about this and able to contribute ideas as we move our Federation forward. As an added incentive to attend, Mr Kent has managed to secure a hamper of stationery which will be the subject of a raffle. There will be one ticket issued to every adult attending and the winning tickets will have the hamper donated to their child's classroom. Congratulations to Pine and Birch who top the attendance table this week with great attendance! Thursday 2nd March is world book day. We are going to celebrate the day by asking all pupils to dress as their favourite book character for the day. The children could be Harry, Matilda or Alice and we are looking forward to seeing all of the wonderful ideas that you come up with. There will be prizes for the most imaginative character costumes! Please be mindful when choosing a costume as the children will still be going outside for play as usual during the day. Ensure that your child wears their coat over their costume and has on sensible shoes such as their school shoes or trainers. 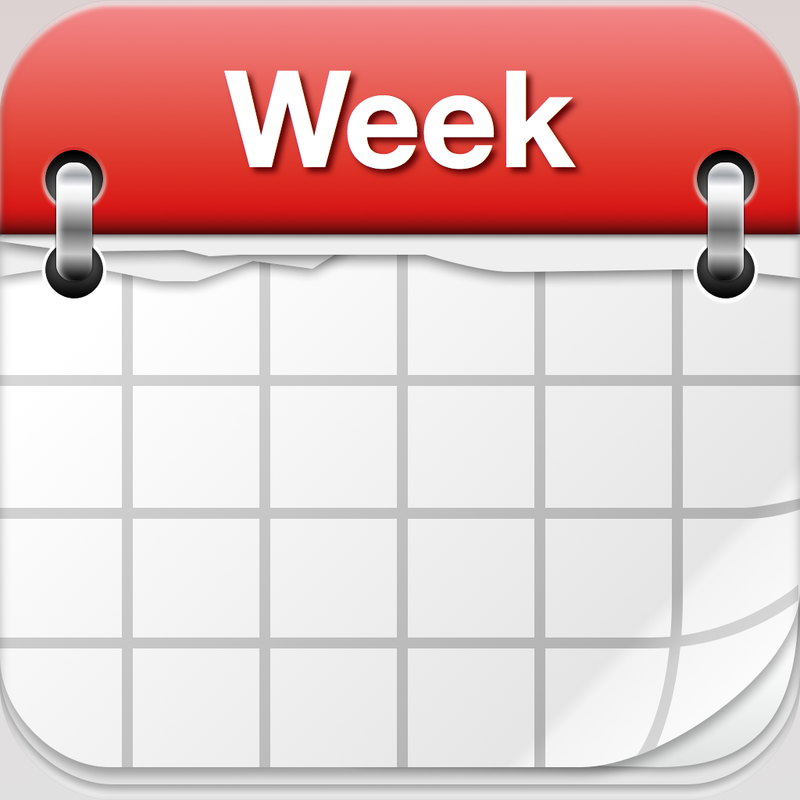 Week commencing Monday 27th February is week 1 on the catering menu. 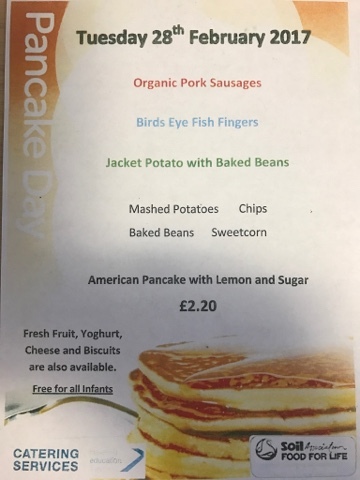 Tuesday 28th February is a special lunch day to celebrate Shrove Tuesday. 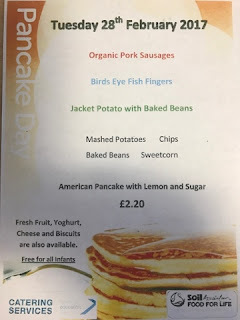 Thursday 2nd March is special lunch day to celebrate World Book Day. 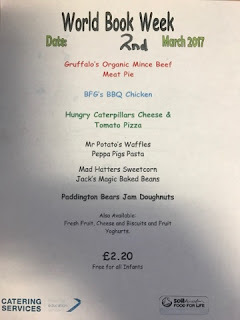 Please check the menu’s which the children will bring home for your information. It has been a fantastic and hectic first week in school. 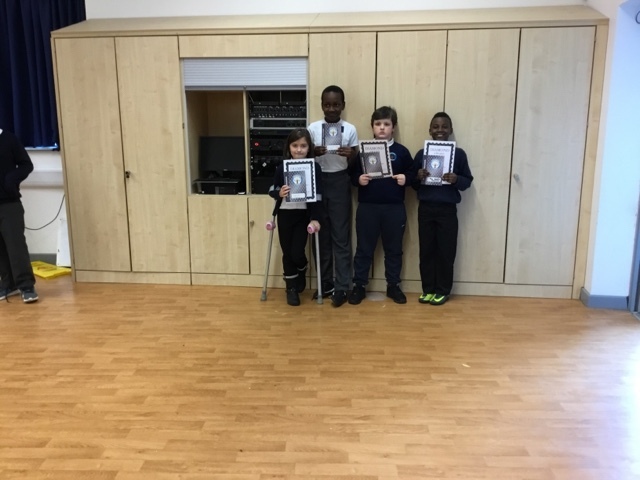 I am sure the children have enjoyed modelling, visiting the library, demonstrations of Victorian schooling and football session. 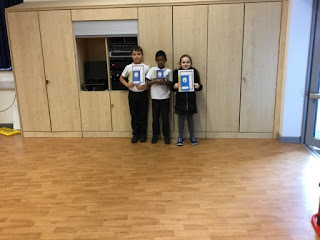 The pupils have also been working very hard which you will see from the extensive list of certificates and awards below. Well done and thank you to all staff and pupils who make Broadford such an amazing place to learn. 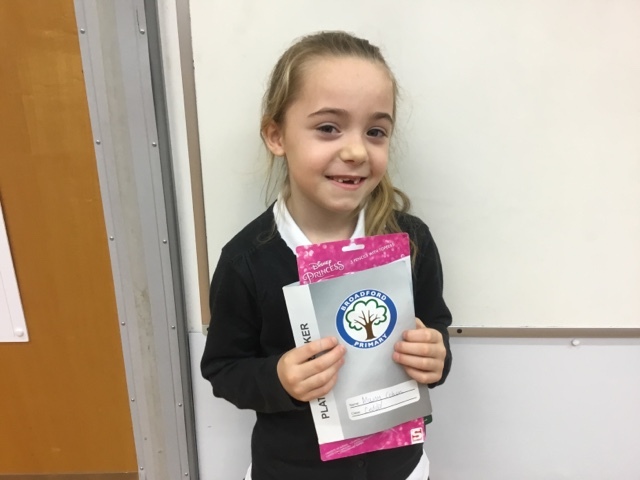 On Tuesday 28th, Elaine Keeler who is the Road Safety Officer for schools will be joining us for an assembly and will be announcing the names of the new Junior Travel Ambassadors. 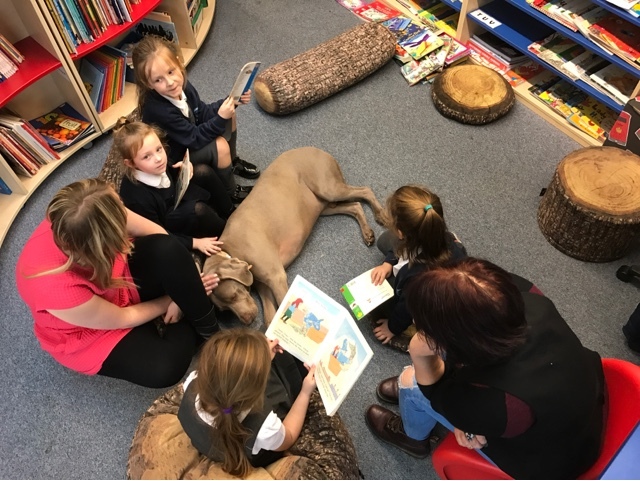 If you would like to volunteer in school to listen to readers or would like more information about how to help your child with their reading, Miss Taylor is hosting a reading volunteers session at 2.00 pm in the conference room. 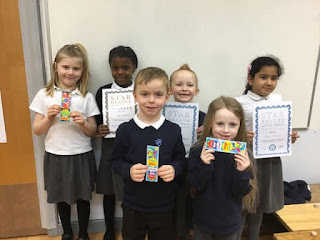 On Wednesday 1st March at 9.00 am , Hazel class will be sharing their work in assembly. All parents and carers of pupils in Hazel class are warmly invited to join us. Reception pupils are visiting Jump Evolution on Wednesday morning and I am certain they are going to have a fabulous time. Thursday 2nd March is World Book Day and the author Denis Bond is visiting the school to celebrate this occasion. There is a LFPA volunteer meeting at 9.00am on Thursday morning in the conference room. Miss Tynan and the nursery staff would like to invite nursery parents and carers to a stay and play session focusing on communication and language early learning goals. on Friday 3rd March. There will be two sessions the first at 9.00 am and the second at 1.00 pm. Athenkosi Nombeko, Maisy Cohen, Haliya Gbadamosi, Jack Dempsey, Alex Ianache, Caydon Buckland, Mia Gallagher, Liam Bovell and Lily Gray. 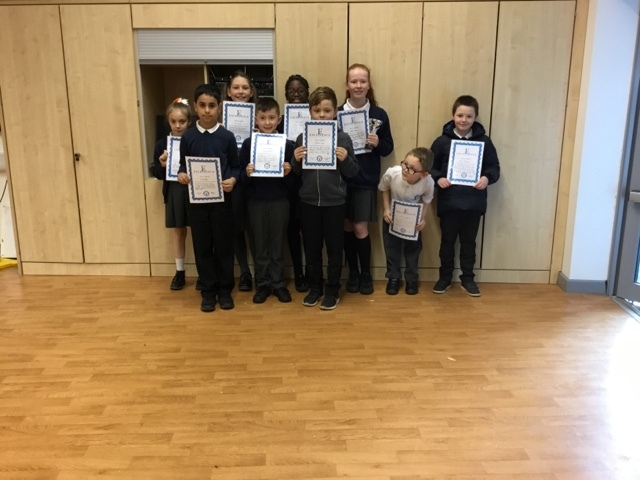 Ollie Venables, Michael St Matthew Daniel, Phoebe Adams, Frankie Watson, Ja’Shayla Cousins, Emily Johnson, Adi Kaushal, Weronika Harandi, Caleb Beyebenwo and Bobby Skipp. Malachi Wright, Naleli Sibanda and Adam Abubakr. Mimi Wicher, Carla Botten, Oliver Stay. 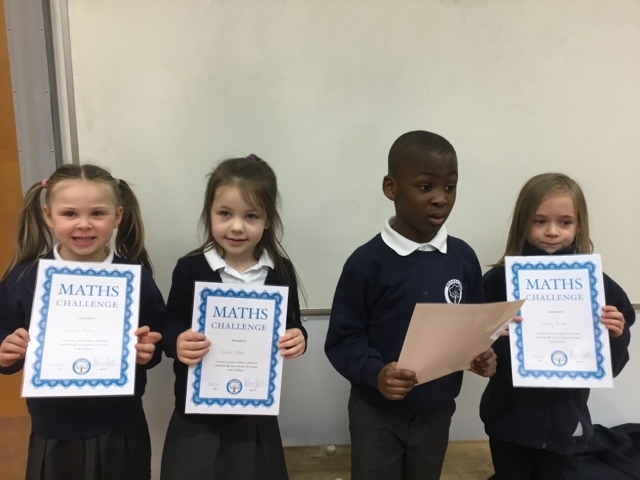 Connie Harvey, John Olatunji, Emily Russell and Grace Horn, Micayla Smith, Fayo Ayodola and Ranita Ariyibi. 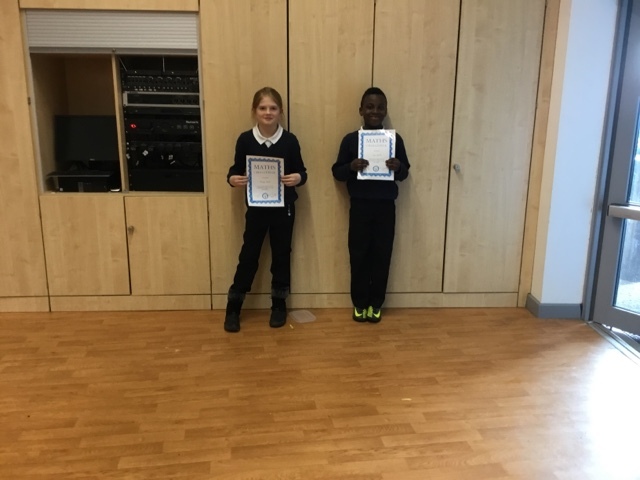 Diamond certificate - Kaden Nicol, Fayo Ayodola and Lily Jones. Despite Storm Doris sweeping across our playground yesterday, the children thoroughly enjoyed the West Ham Takeover day. Outside, the children took part in a range of activities which were all related to football in some way - whether it was to jump like Carroll or to throw like Adrian - the children participated with enthusiasm. 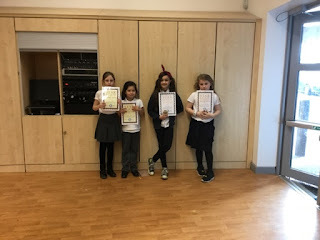 In particular, the group of year 6 children who supported the coaches used their reciprocity skills to demonstrate and lead groups of younger children through the separate activities. 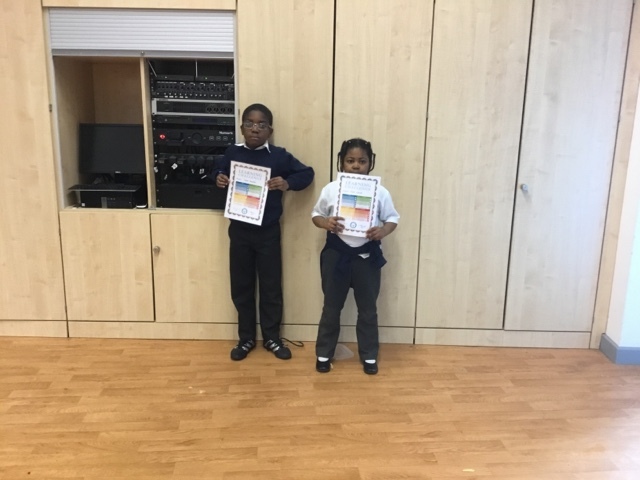 Inside, the children participated in a Literacy workshop where they unscrambled sentences about West Ham and created their own commentary for a West Ham match. Ruby and Temira (Larch Class) impressed the coaches with a fantastic piece of commentary which is a a challenging style of writing. The writing the girls produced was one of the best they had seen in all the schools they had visited. West Ham VS Crystal Palace will, without doubt, be a close encounter. As the kick off approaches, the West Ham fans are going wild: shouting, cheering and singing repeatedly. Pouring rain is falling on the players as they take to the field hopefully cooling them down before they begin. The amazing singing is continuing, each fan in the stadium displaying true confidence in the team. Manager, coaches and the substitutions hearts begin to race as the players take their positions. You can cut the tension with a knife. As the wild crowd goes silent, suddenly the brilliant Lanzini powerfully passes the active ball to the skillful Antonio. He dodges one player, he dodges another, the crowd now at the edge of their seats. All of sudden, he takes the ball around the Palace defender, he looks up and sees Carroll's eyes glazed, just waiting for the ball to be crossed. Without hesitating, Antonio produces an incredible cross to Carroll. Now the crowd are off their seats. The ball is crossed in, the one and only, Andy Carroll, performs a spontaneous bicycle kick which ends up with the ball in the back of the Palace net! West Ham have scored a jaw-dropping goal! Today Miss Chau and the JTAs attended the Havering School Travel Plan Conference at MyPlace. 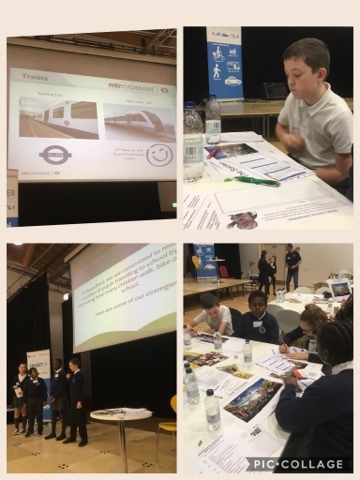 The day featured mini-presentations from a wide range of speakers, including Junior Travel Ambassadors from other schools; representatives from Transport for London, Havering and MTR Crossrail and PCSOs and officers from the Havering Safer Travel teams. 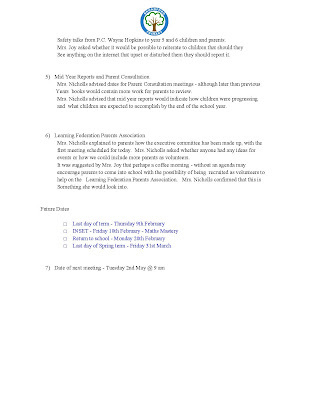 Our team, who only have a short time left before they handover to the new JTAs, were specifically asked to present the strategies and events we have implemented at Broadford in order to share them with the 15 other Havering schools who attended. They talked about Bling My Bike, Walkers' Breakfast and the Walking Bus. 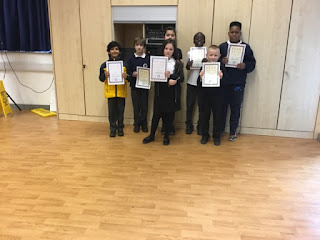 It is our responsibility to share our ideas with other schools in the area so that we can make Havering a greener place. One of the biggest issues at the moment is improving air quality and reducing air pollution. 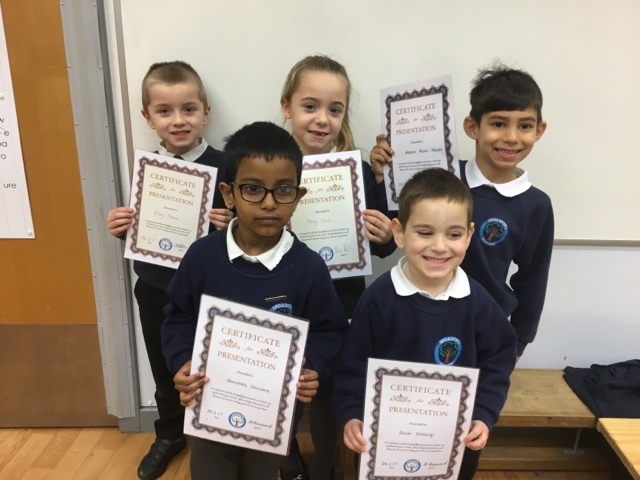 Havering will be rolling out 'Miles the Mole' to promote this new focus in the borough and our JTAs were some of the first to watch his promotional animation which will be shown in schools across the borough later this term. It was good to hear that the effort the JTAs have been making has made a positive impact on sustainable travel in Havering. The number of children who scoot to school in the borough is 6%, which is higher than the London average. This was the same with cycling: more children cycle to school in Havering than the London average. This shows that the initiatives we are executing at Broadford are making pupils in Havering more aware of being responsible citizens who support sustainable travel. Stay tuned for lots of fun activities and initiatives which we will be participating in over the next few months. For now, make sure you put 20th-31st March in the diary for the Big Pedal! Congratulations to our Netball Team which has made the paper this week. In our local Harold Hill league the competition has been fierce this year. The title of champions was decided in the final game of the season. 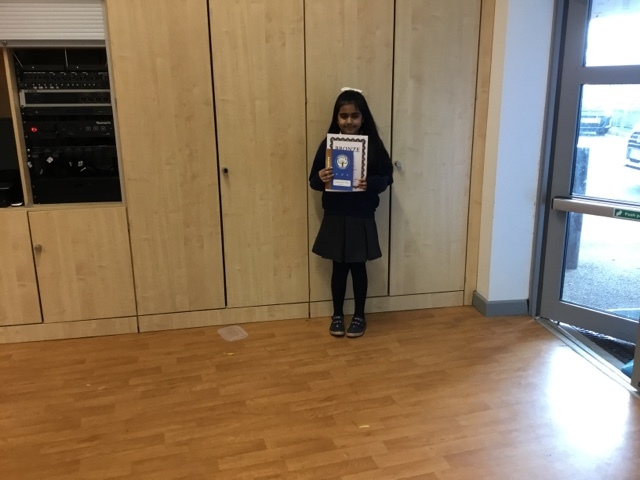 Up against St Ursula's, our team had to score six goals to take the top spot in the table and lift the trophy! We all had to work really hard to cheer each other on. At times it didn't look like we were going to be able to do it... but we never gave up! 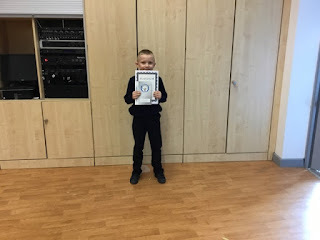 Miss Cook was especially proud of how the pupils have applied the skills which have been taught during their practise sessions. It is one thing to perform in the club sessions, but having to do so under pressure is very different. 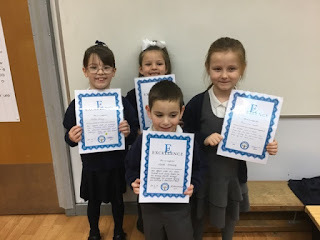 I couldn't be prouder of them! Just a reminder that tomorrow is our West Ham United takeover day. Each class will take part in a workshop with the West Ham coaches in which they will take part in physical challenges and classroom activities. The children can wear clothing that is related to West Ham. This includes a West Ham shirt, kit or something that supports the West Ham colours of claret and blue. 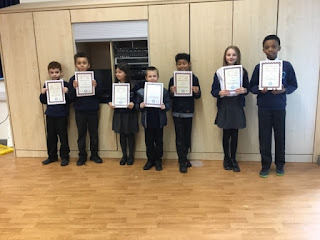 We politely request that children wear their normal uniform into school if they do not have clothing in the claret and blue West Ham colours. 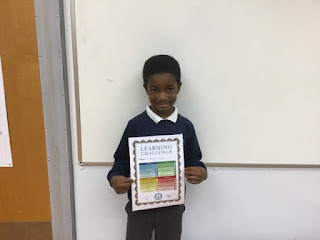 We look forward to seeing how many challenges we can tackle! On Thursday 23rd February the children in years 1-6 will be taking part in a West Ham Takeover day. The Takeover Days serve to support pupils with key learning points, in a memorable and fun ‘Hammers’ themed twist. Children are given the opportunity to wear football kits to school, and begin the day with a fun assembly hosted by the Foundation. Following this, the whole school, including the teachers, go into Hammers mode, taking part in activities that help build leadership and communication skills; improve descriptive writing skills; practice writing styles and engage pupils through a wide range of physical activities. 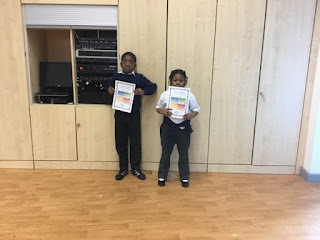 All activities are given a West Ham theme, whether it be a descriptive writing challenge or practicing their throwing and catching skills in a PE session with a challenge set by Adrian, West Ham goalkeeper, himself. 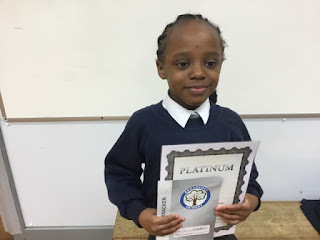 The days have been designed to be delivered as part of the Premier League Primary Stars programme, and follow the values to ‘Be Inspired’, ‘Be Connected’, ‘Be Ambitious’ and ‘Be Fair’. 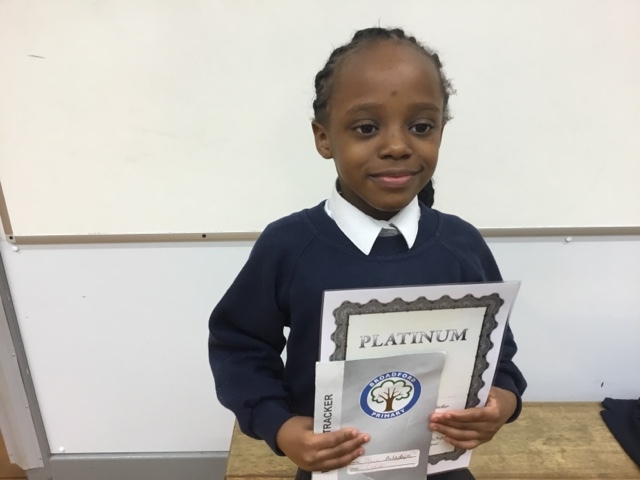 Through Premier League Primary Stars, West Ham United Foundation are able to bring the curriculum to life with a variety of fun activities suitable for different age-groups and learning styles, thus motivating children to be ambitious while teaching the importance of teamwork and fair play. On the day, each class will take part in a workshop with the West Ham coaches in which they will take part in physical challenges and classroom activities. The children can only wear clothing that is related to West Ham. This includes a West Ham shirt, kit or something that supports the West Ham colours of claret and blue. We politely request that children wear their normal uniform into school if they do not have clothing in the claret and blue West Ham colours. 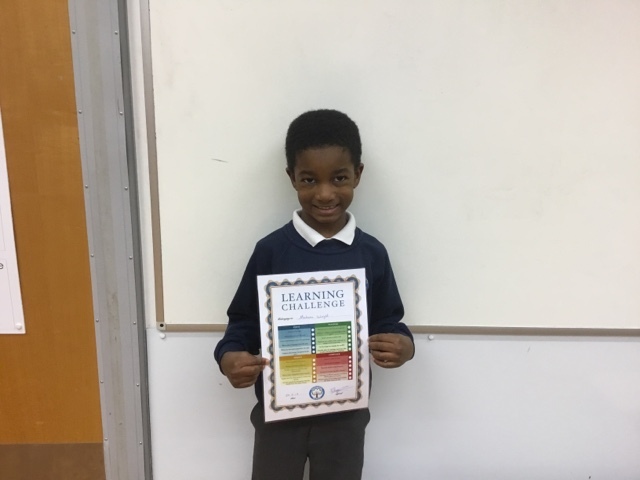 We look forward to seeing how many challenges we can tackle! you will have the chance to show everyone! and spend the day reading and completing activities about books. There will be certificates and prizes for the best costumes. Dress up as a book character and come to school! The Council has published a statutory notice and other information setting out its formal proposal to expand Broadford Primary by one form of entry. Broadford Primary is currently a two form entry school with a Published Admission Number (PAN) of 60 and a permanent capacity of 420 places. The proposed capacity following this expansion would be 630 places with a PAN of 90. 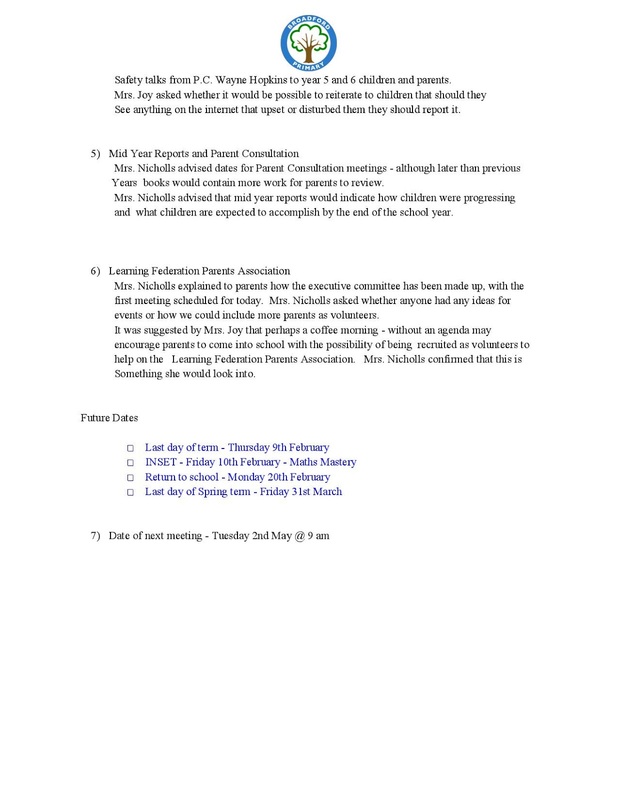 The publication of this statutory notice marks the beginning of the formal consultation (Representation period) of four weeks which starts 17 February 2017 and ends on 17 March 2017 The Representation Period is the final opportunity for parents, carers or other interested partied to express their views before a final decision is made. You can download a copy of the statutory notice & full proposal below. 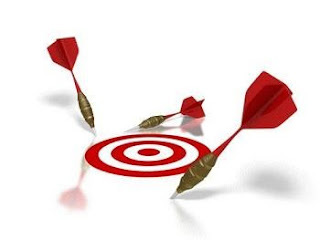 If the decision is to proceed with the proposal, it is then legally required to implement on the date specified in the statutory notice, which is; 1 September 2017. Theo has been busy in the library with some new reading groups. 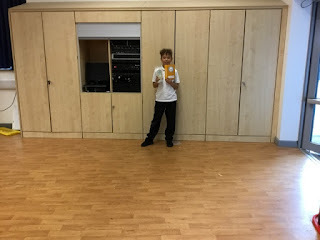 It doesn't look as if he is working that hard, but Theo has inspired even more readers to make use of the library this year. 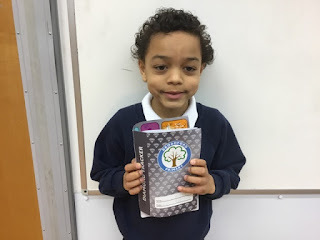 Those pupils who read regularly, complete their reading record books and engage with the challenges set by Miss Sparkes get extra reading time with Theo. As a consequence loans are up again by 12% and the number of pupils managing to read 4+ times a week in EYFS & KS1 is up by 17%... well done Theo! 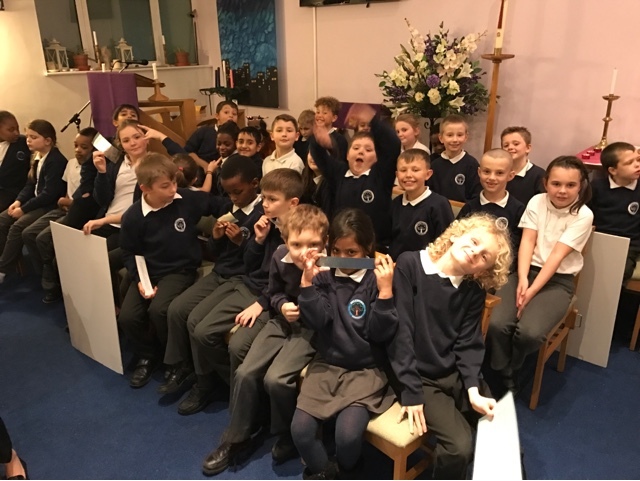 Thank you to all of the Year 4 team who organised a fantastic event at St George's Church. Every year our Y4 pupils put on a Christmas celebration as part of their Spiritual Curriculum. The story of the Nativity was retold through drama, poetry, rap and readings from the bible. We had to look at the story of Jesus in many different ways. It made us think about the story more deeply as we had to choose the parts that we thought were most important. The whole service was led by Rev Rich and Reverend Shaun, who have both contributed a great deal to the rehearsals and content. 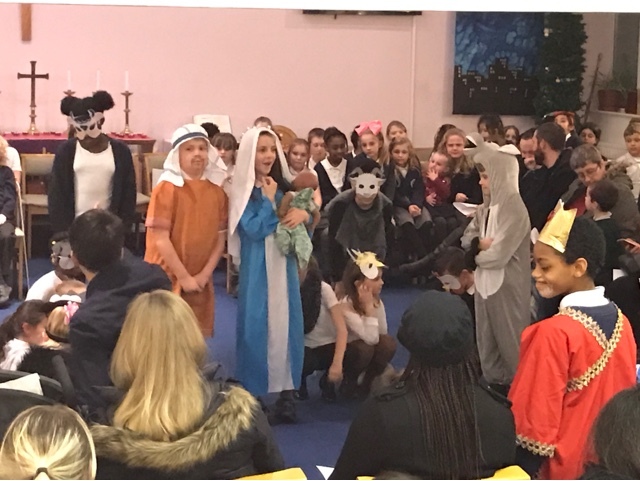 What made it all extra special was the high level of turn out from parents and families who came to share in the celebration of the Christmas story. 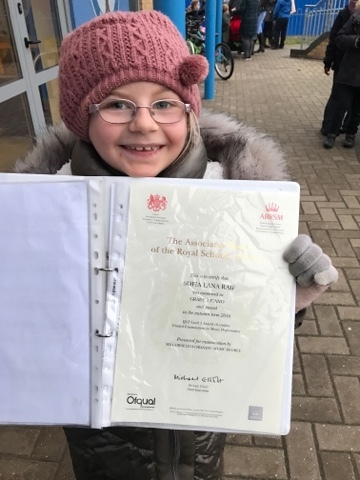 Well done to Sofia Raif who has just passed her music exam. We are very proud of the way she has been practising at home and working so hard to pass this test! 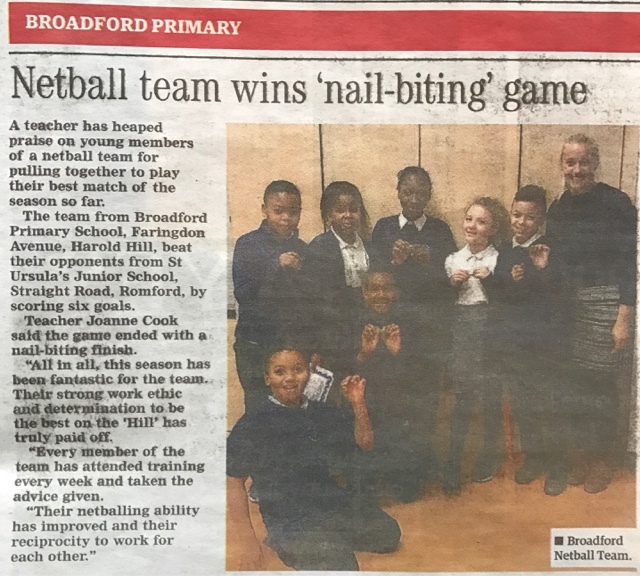 We are in the paper this week! A roving reporter from the Yellow Advertiser was travelling to an assignment when they spotted our pupils in the road practising and applying their skills from the Bikeability Course. 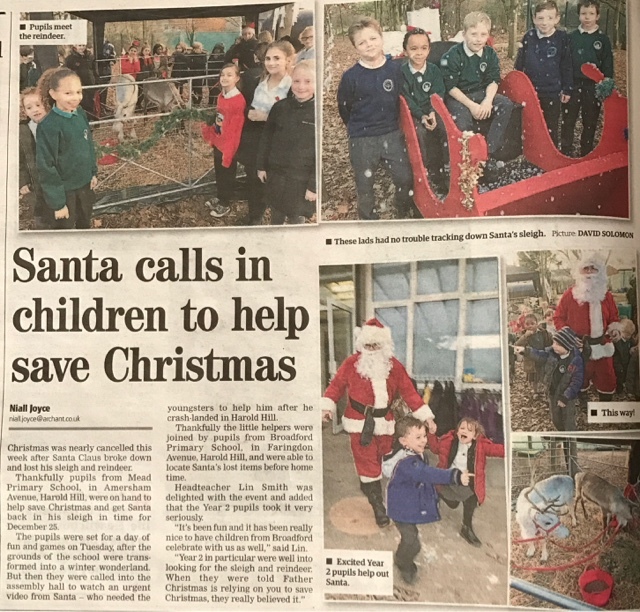 Not one to miss the chance for a story, they stopped and took some great pictures of our pupils in action. Make sure you get your copy! 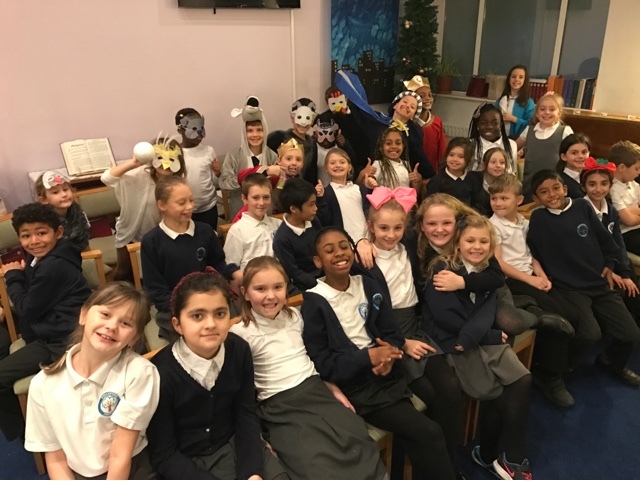 Our Choir received some wonderful feedback for their recent performance at the Triple S Housing meal. 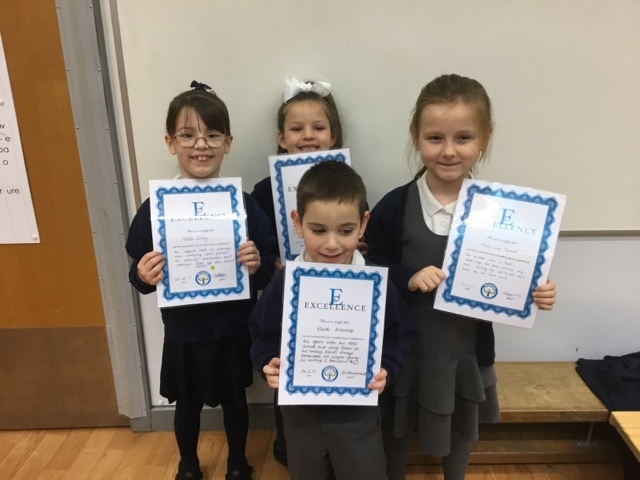 Our pupils are realising that the smallest acts of kindness can have a huge impact on others. A huge thank you to Mead, who shared their special Santa event with our pupils. During the night Santa's sleigh crashed to the ground stranding some of his reindeer and putting the whole operation for Christmas into jeopardy. 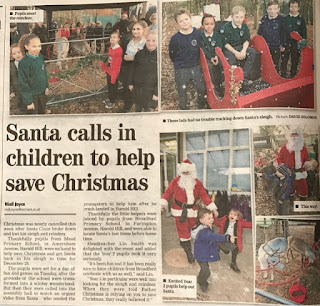 Brave pupils from Mead had to battle through the woods and the snow to find the reindeer and follow the clues to reunite them with Santa. 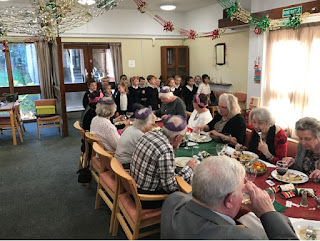 At such a busy time they still found time to think of their Broadford friends and invited them down to come and share in the festive mystery. This was certainly one Christmas that the children won't forget in a hurry! 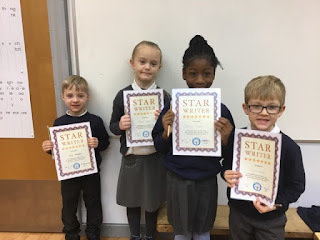 We're In The Paper: Olivia is Star of the Week! We're In The Paper: Solar Park Squashed! Rotary Quiz - Broadford Win! We're In The Paper: Ethan is Star of the Week!